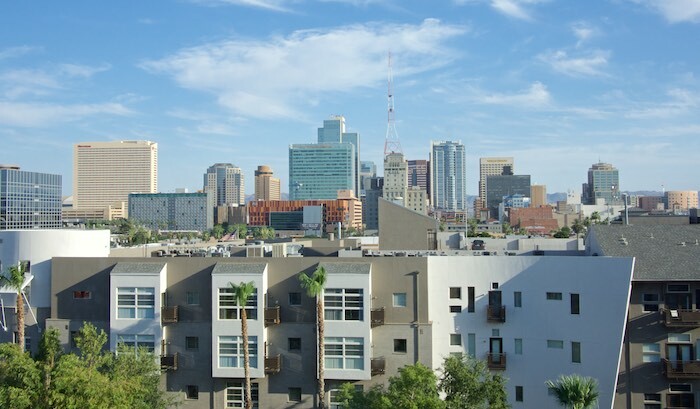 In the midst of this predominately resort focused state, the FOUND:RE hotel in downtown Phoenix is like a breath of fresh air. The hotel offers guests unique artistic elements throughout its floors, rooms with modern industrial details and a community-driven signature restaurant. There are 105 rooms featuring custom made platform beds, concrete floors, walk-in showers with benches and amazing city views. Guests can also enjoy a fitness center, a pool with complementary yoga on the weekends and lots of community space. to the green dinosaur out by the pool and the mural of Steve Buscemi outside, there is art featured everywhere throughout the hotel. 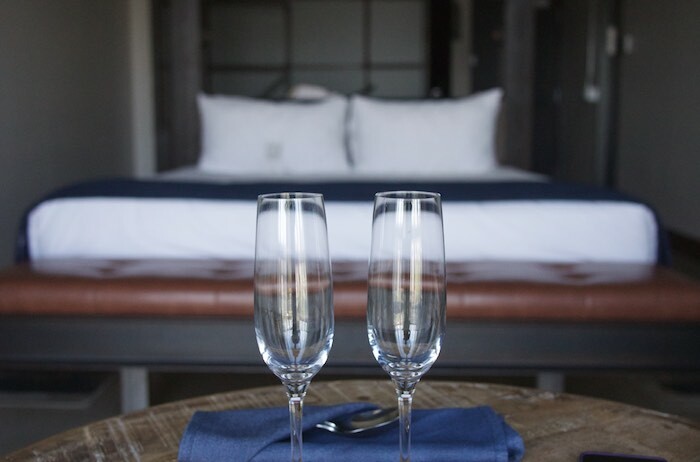 My husband and I recently spent two nights at the FOUND:RE and were able to experience not only the comfortable hotel rooms and all their amenities, but also the fabulous cuisine at Match: Restaurant & Cocktails. 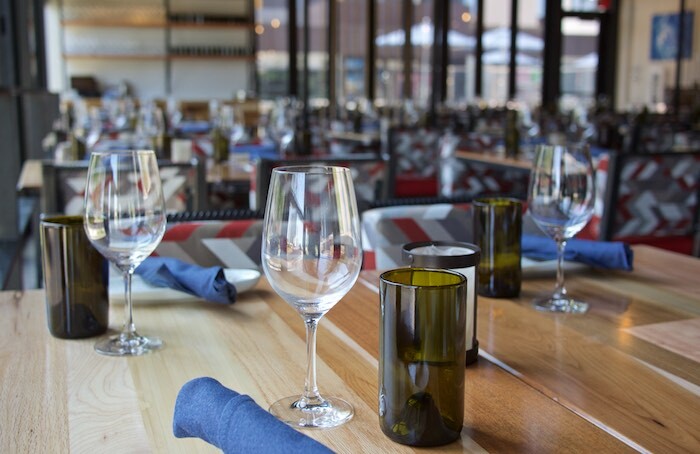 Match offers approachable food, made from locally sourced ingredients and often cooked in the restaurant's wood-fired oven. 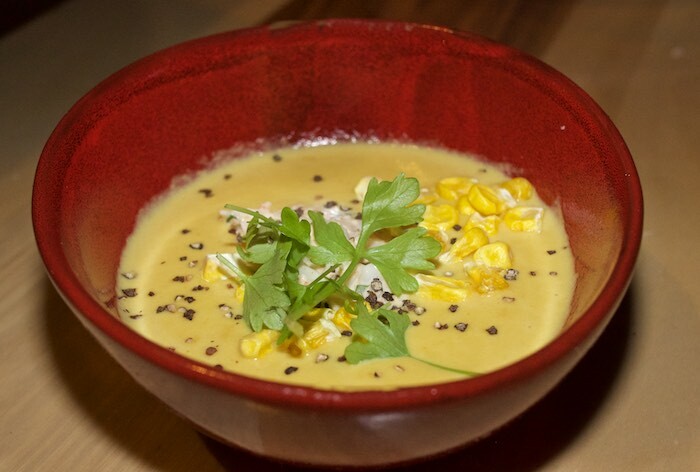 A delicious smoked corn bisque topped with pieces of lobster and dried corn. 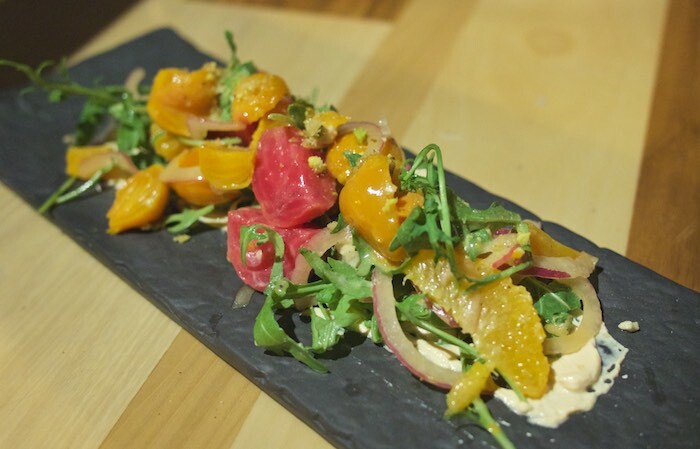 The roasted beet salad with arugula and orange. 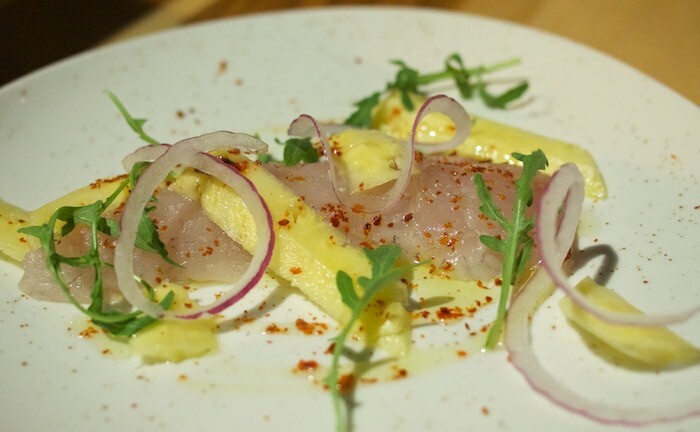 A seafood crudo accented with fresh pineapple wedges. We also tasted the Scottish Salmon; which was fabulous. 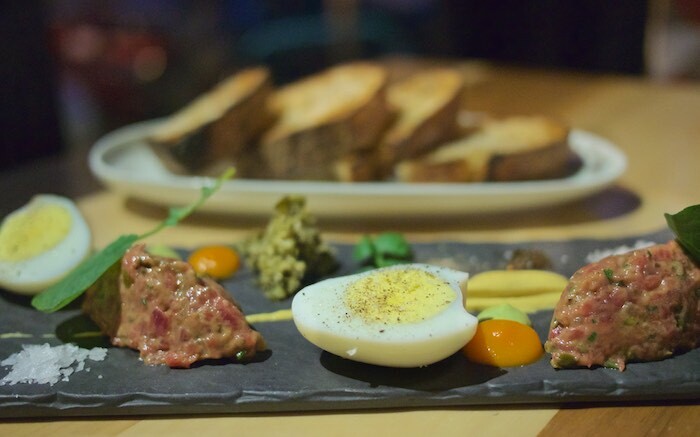 Chef prepared for us a special plate of beef tartare served with hard cooked eggs, mustard and sea salt. His take on the classic dish was one of my favorites. 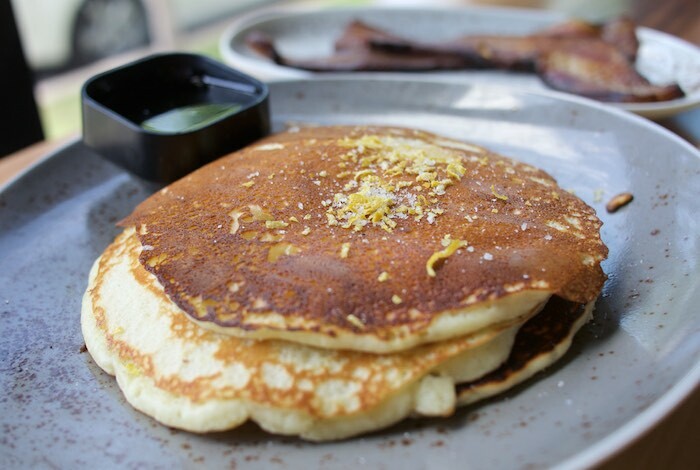 Weekday breakfast at Match is served counter style; allowing for a grab-and-go option for those stopping in during their morning commute. 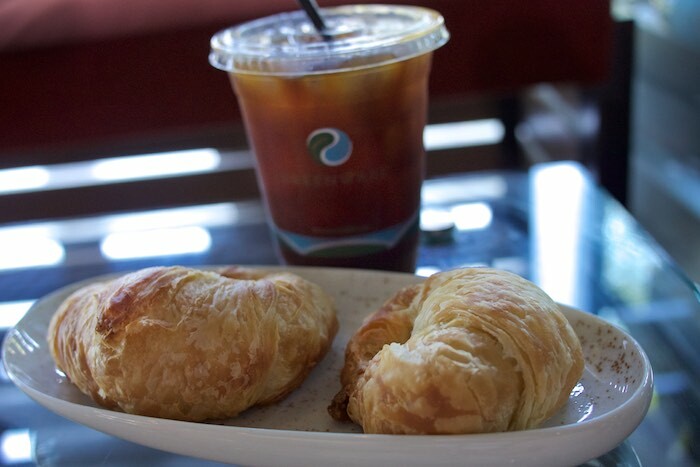 Think coffee, pastries and croissants. 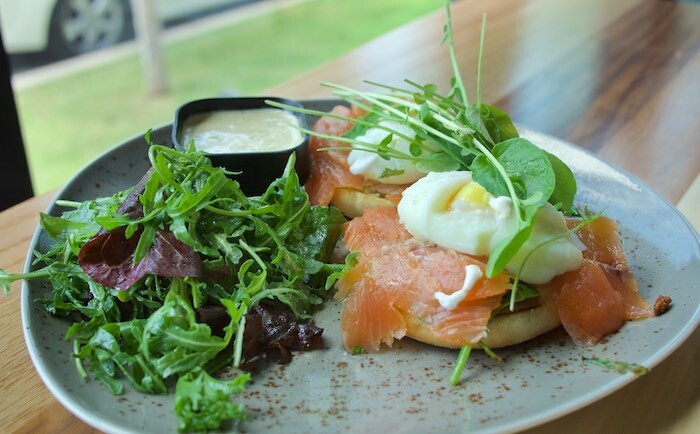 and the smoked salmon Benedict which was served with a side salad dressed in an amazing vinaigrette. 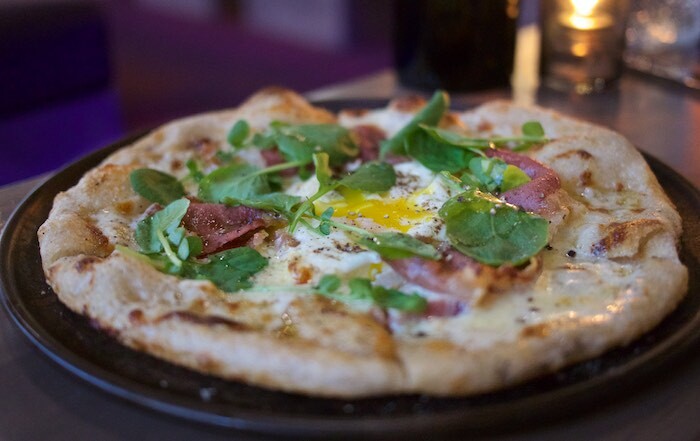 If you are like me and prefer the city life over the resort atmosphere, I would recommend checking out the FOUND:RE in downtown Phoenix and be sure to have breakfast, lunch and/or dinner at Match Restaurant & Cocktails. This experience was provided complimentary, all opinions are my own. That pizza looks delicious!! I'd go to Phoenix just for that! That pizza is making me drool... I don't think I've ever been to Phoenix before! 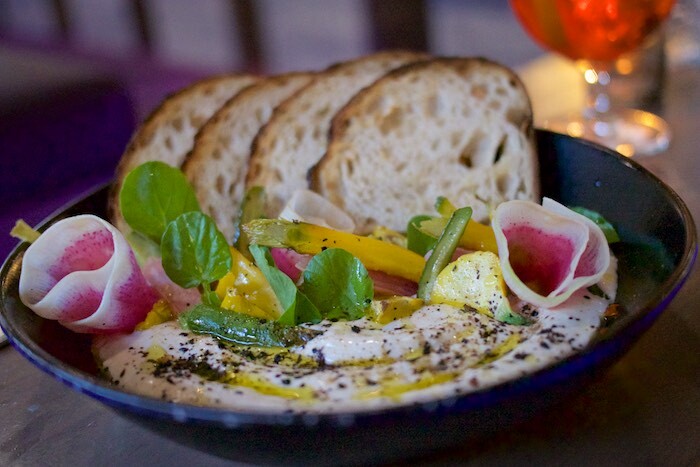 I want to try that celery root hummus and smoked corn bisque, yum! All of the food looks fantastic. 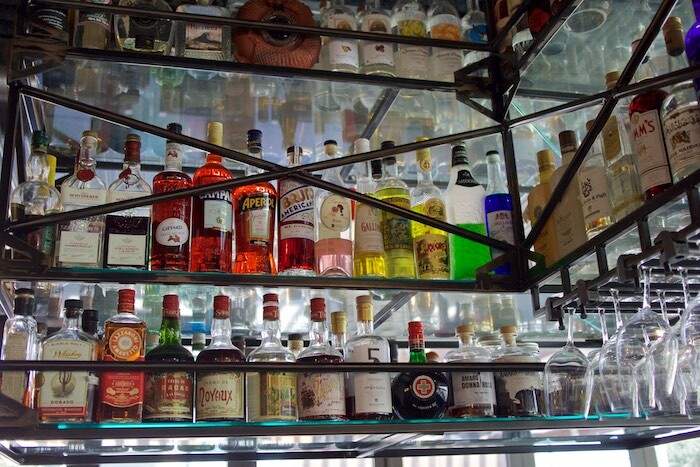 Great place to visit in Phoenix! Thanks for sharing with us!! Everything looks great w/ the food but I just can't stop going back to look at the painting of Burt Reynolds lol. Such an amazing hotel. The food looks incredible. Those paintings are really fun and vibrant. The one of Burt is wicked cool. Wow what a gorgeous hotel! 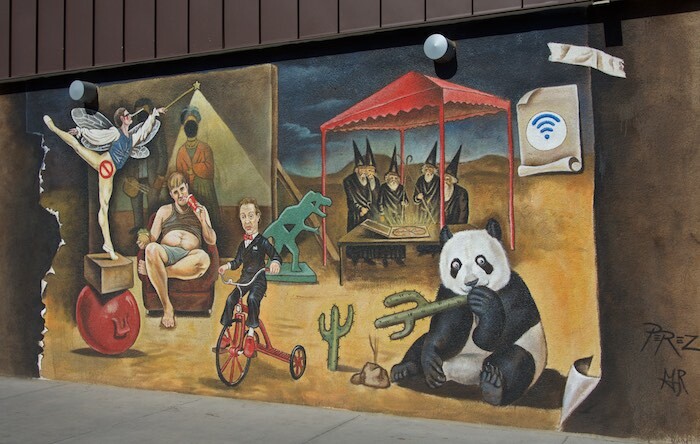 I will have to check it out if I am ever in Pheonix! 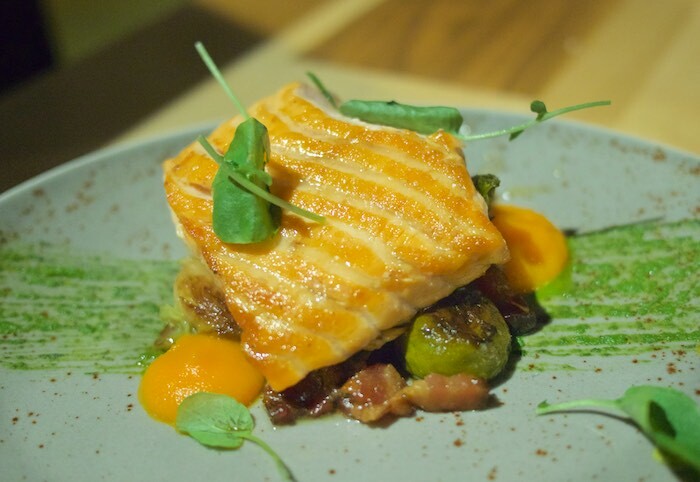 What an amazing hotel - and the food looks absolutely gorgeous! I'd totally love to try that salmon! All the food looks so delicious! Mmm those look like some seriously good eats in a rather funky environment! Definitely will have to check this out if I'm ever in the area!